Have you ever thought to yourself, “I want a fruity vodka cocktail, but I don’t want to waste any of the space in my glass on mere fruit juice”? If so, the Ice Bomb may be the drink recipe for you! 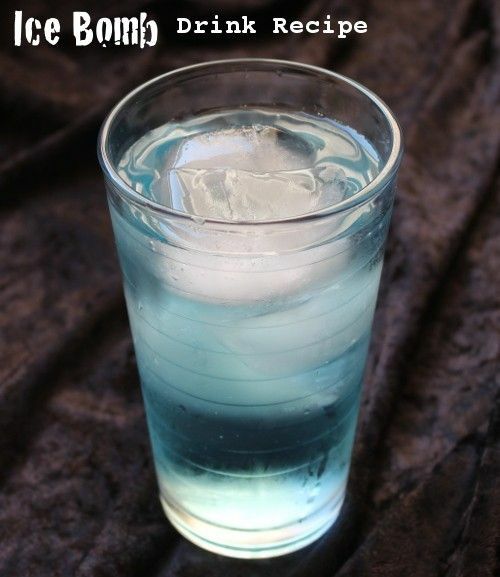 This drink features UV blue raspberry vodka, orange vodka, and plain vodka just for good measure. Technically there’s a mixer, because you top is up with an ounce or two of Sprite. But honestly, it’s pretty much all about the vodka. Fill a highball glass with ice cubes and pour in everything but the Sprite. Stir, and top with Sprite.